Could Catania's Argentine wonderkid spell the end of Jenko's Arsenal dreams? The 22-year-old really, really loves Arsenal, so it would be nice to see him establish himself in the first-team at the Emirates. He still has a habit of looking terrified when he&apos;s given a shot by Arsene Wenger, which is a bit of a problem. It seems Wenger isn&apos;t fully convinced by the full-back either, and is planning a move for Catania&apos;s Gino Peruzzi, according to the Metro. There&apos;s not much footage of the defender on YouTube, but he&apos;s an absolute monster on the latest Football Manager, which obviously means he&apos;s going to be great IRL. The video above does show his finest moment to date though. When he was playing for Velez in Argentina, his side came up against Neymar&apos;s Santos. Peruzzi gave no f**ks at all about Neymar&apos;s reputation, saying before the game: "I know Neymar has no idea who I am, but he will get to know me soon enough. "Tell him to watch his back. I am a player who hits hard and who has a lot of character. I give everything on the pitch." Just incredible. He lived up to his words as well, keeping the Brazilian quiet over two legs. 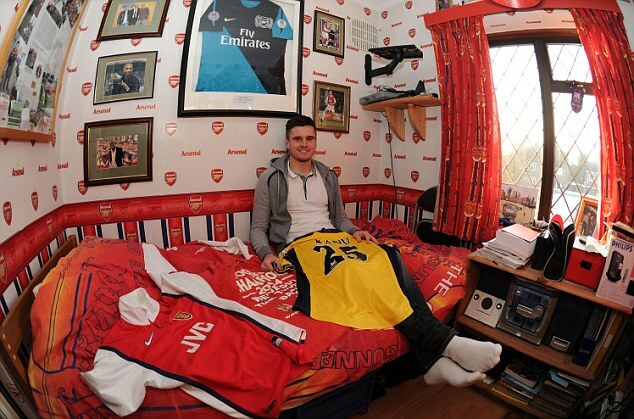 If he does sign for Arsenal, Jenkinson could move on loan to West Ham to get some valuable experience, so everyone&apos;s a winner. Do Arsenal fans want to see Peruzzi at the Emirates? Arsenal: Wenger Says He&apos;s Not Buying A Striker - Is He F***ing Insane? Will Schneiderlin Choose Spurs Over Arsenal? Have Arsenal Just Signed The Barça Starlet To FINALLY Replace Cesc?